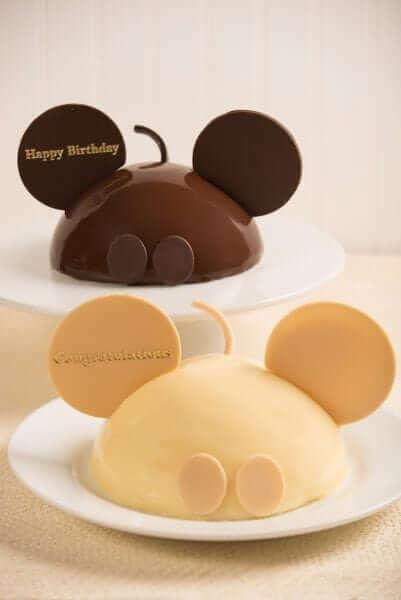 If you are a guest planning a special celebration this spring at Walt Disney World, then be on the lookout for this new Mickey Mouse celebration cake. Mickey Mouse celebration cakes will be coming exclusively to Walt Disney World owned-and operated restaurants. The cakes will be available in two varieties – “Decadent Chocolate” or “Sweet White Chocolate”. You also have the option of having a special message displayed on the chocolate ears of the cake. Currently, “Happy Birthday” or “Congratulations” are the available phrases. Each cake serves 4 to 6 people and will cost $35. Reservations for the cakes will begin May 17. The cakes can be added to a new or existing dining reservation by calling 407-WDW-DINE.